Do you want to know what you get when you mix a Scottish salesman with a fish and chips shop? Well, just read what follows and you will get the answer! We don’t know what you think about it, but English people’s first reaction to this product was very ironic! Indeed, Scottish people were reputed for their unhealthy food and this new product confirmed this idea. However, the popularity of the dish did spread. 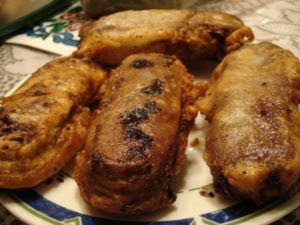 Today, deep-fried Mars bars are not so popular anymore, but new varieties of deep-fried dishes have been invented. 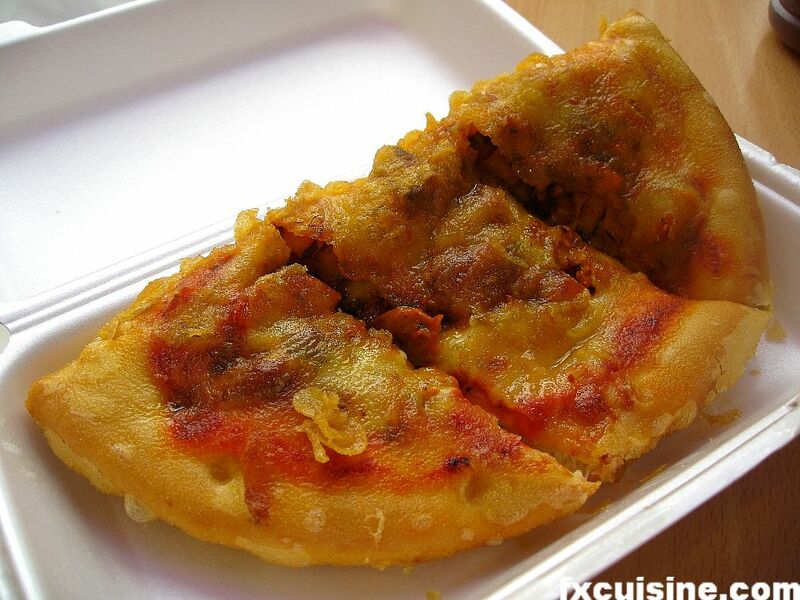 In the following pictures, you can see a deep-fried pizza and deep-fried haggis. How do you make a deep-fried Mars bar? Actually, it is very easy. Just take 1 Mars bar, 1 egg, some milk, ¾ of a cup of flour, a pinch of salt and some oil for frying. First, prepare the batter to cover the Mars bar before putting it into the deep-fat fryer. In order to make it, just use the ingredients we have just mentioned above. Put them together and mix them. Be careful: you have to make sure that the Mars bar was kept a few days in the fridge before using it, otherwise it will melt in the deep-fat fryer. The second step is very easy. Immerse the Mars bar into the boiling oil. Once it is fried, serve with whipped cream, ice cream or fruits. If you think you need more details about the recipe, you can watch the following video: http://www.youtube.com/watch?v=Tvt-CYmBPI8&feature=related . Blog maintained by Lieven Vandelanotte. Ethereal theme. Powered by Blogger.